The Santo Antônio Dam is a hydroelectric dam on the Madeira River. It is part of a planned four power plant Madeira river hydroelectric complex. The Madeira river hydroelectric complex is part of an effort by South American governments to integrate the continent’s infrastructure. The estimated cost is $25 billion. Because the Santo Antonio dam is a run-of-the-river project, it does not impound a large reservoir. However, the reservoir that has been created is ideal for wintering osprey. Remember Lake Maracaibo? A century ago? Lake Maracaibo was a similar, although much larger wintering ground for the North American Osprey. The Santo Antônio reservoir provides wide expanses of shallow, fish-filled water. It has been estimated that there are more than 900 fish species in the Madeira River Basin, making it one of the richest freshwater systems in the world. The vast Amazon jungle surrounds the reservoir, allowing birds to congregate on the canopy. They socialize, catch up on the latest and dive for a snacks on a whim. The trees along the bank are especially tall, protecting them from ground predators. The weather stays a balmy 75 – 78°. There is always a lot of excitement down at the water’s surface. It’s like the Lake Maracaibo Paradise 100 years ago. 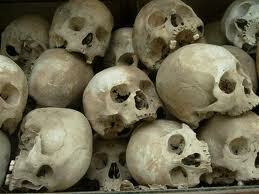 Most of our readers know what became of the Lake Maracaibo Paradise. It’s a sad story and I certainly will not repeat it now. Brazilian law requires water impoundments to undergo a very thorough approval process to ensure that each project meets environmental, social, political, and safety criteria. However, critics of the Santo Antonio dam claim that many legal criteria were rubber-stamped before all questions from impacted groups had been addressed. The most frequent objection is that the dam builders failed to adequately consult with indigenous peoples, as required by law. The Brazilian government indigenous protection foundation FUNAI predicts that there may be un-contacted indigenous populations in the region that will be affected by the Madeira complex. The Fakawi tribe were originally part of this controversy. 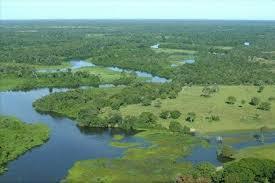 However the Brazilian government was able to procure 100,000 acres of grassland 50 miles north of the Dam. The height of the grass there never exceeds 2 feet. 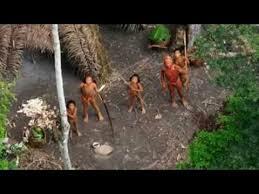 The tribe accepted this reserve and feel that the Brazilian government dealt with them fairly. Not so, the Watsamata tribe. Every time the government tries to document their existence they are fired upon. In an attempt not to disturb their native habitat the area can only be observed by air. This entry was posted in Ospreys and tagged Santo Antônio Dam. Bookmark the permalink.